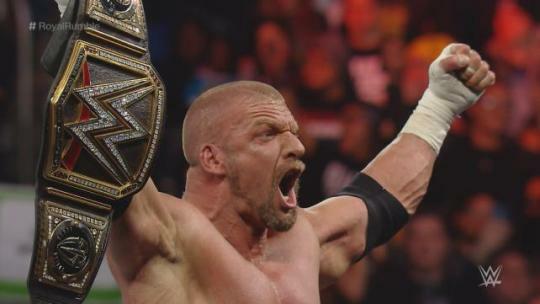 So far, the show had been a really good effort but the Royal Rumble itself needed to deliver. Obviously, Roman Reigns was first. Rusev was next but was quickly disposed of. I was disappointed though things quickly turned around. An unfamiliar theme hit and AJ Styles made his debut at number three. He and Reigns had a little back and forth before some other guys got involved. While there weren't many surprises like last year, it was a much better match. Chris Jericho lasted a ton of time but honestly spent a good chunk of the match laying down. The League of Nations showed up and attacked Reigns. However, they pulled him out of the ring and put him through a table. Like, why not just eliminate him? They came off looking dumb. Kofi Kingston was the only New Day member in the Rumble. Big E saved him from elimination and they ended up having a fun moment. Big E walked around with Kofi on his shoulders and they ate popcorn from a fan. Jericho eliminated him though the cameras missed it because they were shoddy all night. Kevin Owens limped out and got rid of Styles after 28 minutes. Then, in our second surprise, Sami Zayn arrived and got right into it with Owens. It was great. Sami sent him out, finally getting some sort of revenge on Owens for their long rivalry. Brock Lesnar came out and got into it with the Wyatt Family. He dumped them out and then Bray Wyatt showed up. After a terrible Rumble Pay-Per-View last year, this was one of the better ones. 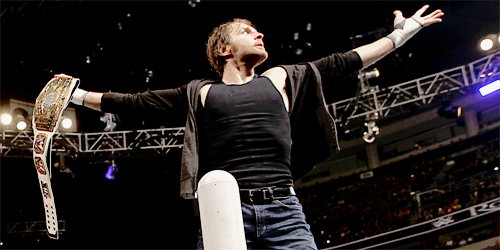 Every match was good, with one really standing out as great (Ambrose/Owens). The other title matches were fun, the show flew by and the Royal Rumble match itself was pretty fun. Plus, seeing Sasha Banks in the title picture, the appearance of Sami Zayn and the debut of AJ Styles really added to the show for me. 8/10.